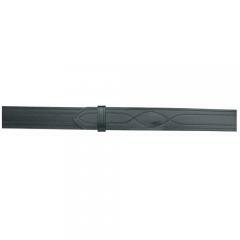 Full VELCRO® lining mates to B55 pants belt. No-buckle style with fancy stitching. Hidden brass hooks keep belt securely fastened. 2.25" wide.